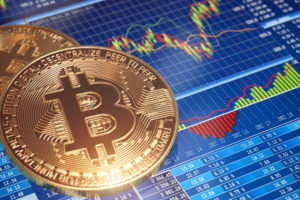 Investing in and trading cryptocurrency can be a complicated process, with a variety of exchanges all entailing different ways of doing business. Now, one company has combined both the orderbooks and features of the best exchanges into one simple and safe platform, suitable for both newcomers and experienced investors alike. Unlike other specialized blockchain trading and investment platforms, HOLDVEST combines all the best features found on exchanges, brokerages, and instant trading apps to create a one-of-a-kind investment portal. 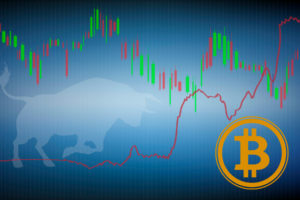 The platform is built around a liquidity aggregator connected to a large number of major cryptocurrency exchanges – as well as its own proprietary decentralized exchange – ensuring users have the ability to secure the best price for their trades from a single website. 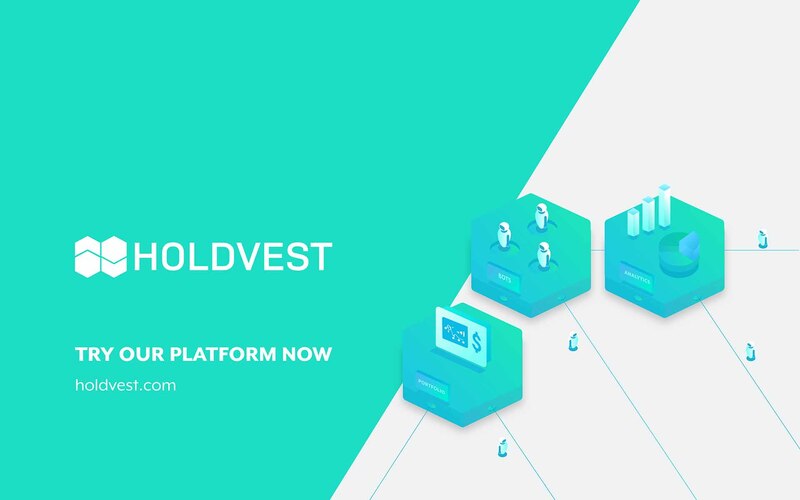 HOLDVEST also features powerful tools which help users manage their portfolios while offering unprecedented security, convenience, and flexibility — making it the perfect place for traders of all kinds, whether new, experienced, or institutional. HOLDVEST boasts a number of unique and innovative features that set it apart from the competition. in real-time, using their combined order books to buy and sell cryptocurrencies at the most advantageous prices for customers. 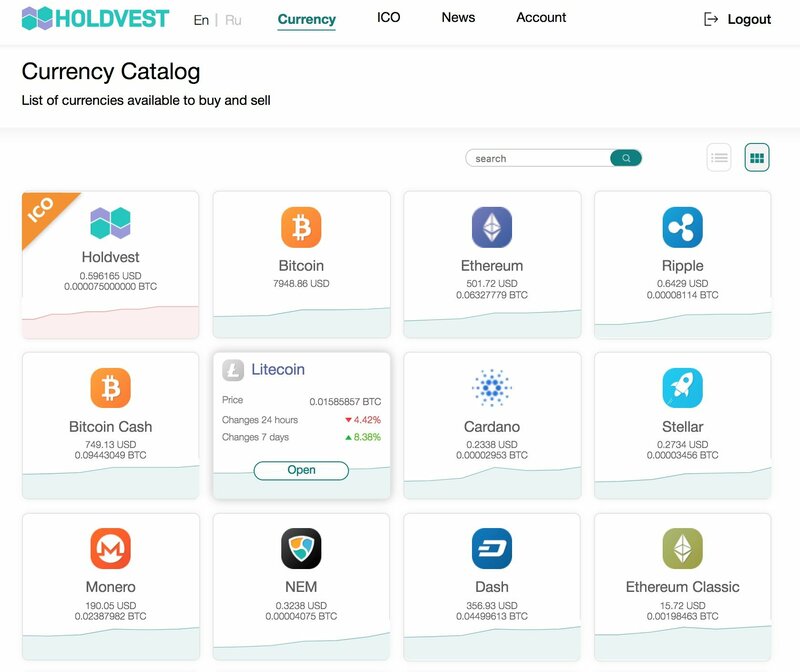 Whilst similar in principle to instant exchanges like ShapeShift and Changelly, however, HOLDVEST’s engine is built into the interface of a traditional exchange and features a vastly superior list of supported cryptocurrencies. This means users can buy and sell crypto coins at the very best price available across all exchanges – but from one account. No longer are multiple accounts across different cryptocurrency exchanges required, and neither do users need to familiarize themselves with various ways of trading on many platforms. All trading can be conducted from one unified portal. Most importantly, the savings created by HOLDVEST’s one-of-a-kind approach are passed directly on to the customer — making it both an extremely convenient and financially beneficial trading platform. 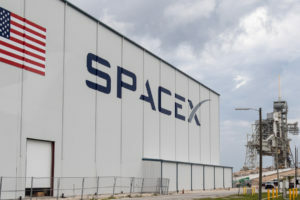 The engine is also constantly being updated and improved, with a number of optimizations already in the pipeline — which will make it even more advantageous for high-frequency traders. Users aren’t limited to just buying and selling cryptocurrencies, however. 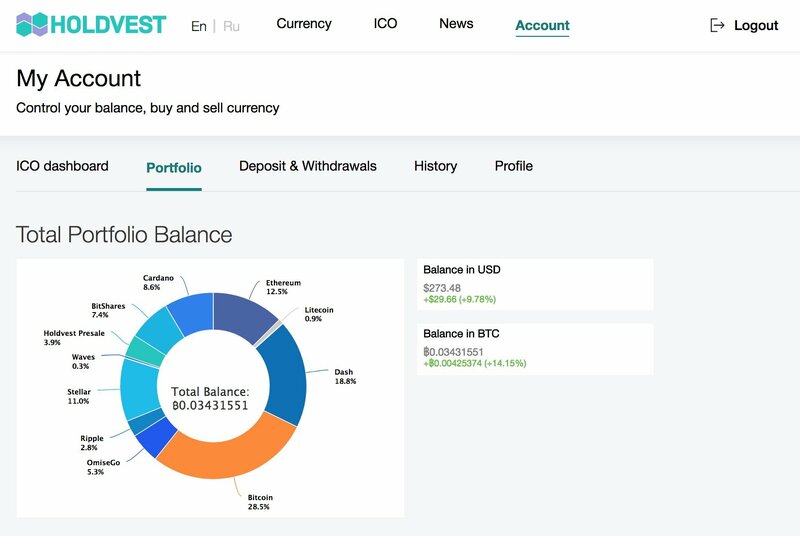 HOLDVEST also affords users the ability to invest in new blockchain projects and participate in token sales for new initiatives, without ever having to leave the platform. They can even launch their own ICOs, with token creation and distribution taken care of automatically. In addition to providing a single, convenient location to suit any trader’s needs, HOLDVEST also features a number of additional benefits. Among other things, HOLDVEST provides all-inclusive portfolio management tools — giving users the ability to acquire, hold, trade and track their crypto within one single, powerful application. Custom crypto index funds will make portfolio diversification easy. There are also simple and expert options to personalize the user interface, which is, by default, clean and intuitive — providing a frictionless user experience suitable for traders of all experience levels. Interactive charts, online analytics, and mobile portfolio management are all available at users’ fingertips. 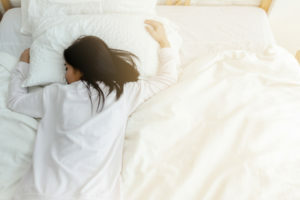 Of course, it’s important to keep your cryptocurrency investments safe, which is why HOLDVEST offers cold wallet withdrawals — effectively minimizing the risk of hacking and theft. In fact, no funds ever need to be held on the platform, as purchases can be immediately deposited into an external wallet. The company’s commitment to decentralization also helps remove the downtime inherent in centralized exchanges. To learn more about the advantages of using HOLDVEST as a one-stop shop for all things related to cryptocurrency investing, check out the company’s official website www.holdvest.com — where you can get information about its upcoming ICO and sign up to use the platform. What do you think about HOLDVEST’s all-encompassing features, allowing for cryptocurrency trading from one single platform? Let us know in the comments below!